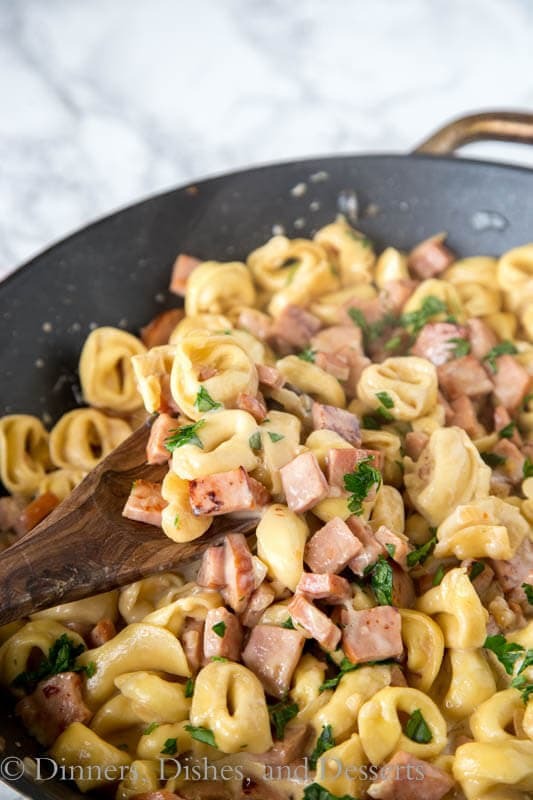 Ham & Cheese Tortellini – use that leftover ham to make this easy creamy tortellini dinner in 20 minutes! 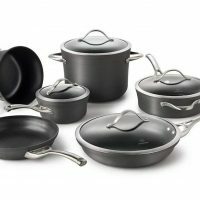 Great one pan meal any night of the week! Do you ever wonder what to do with leftover ham? My family loves Baked Ham, so we don’t always just reserve it for holidays. But it makes way more than we can eat, so I am always on the lookout for what to do with leftover ham. And this cheese tortellini is one of the most requested! 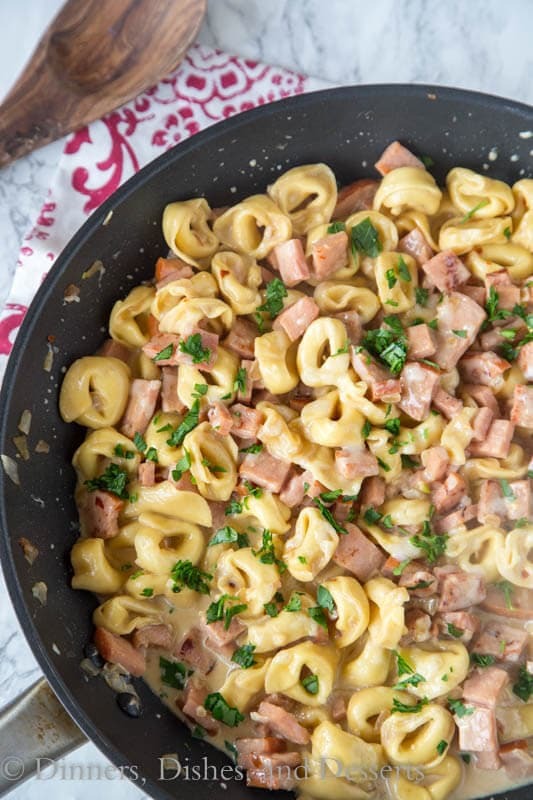 There is almost always enough leftover ham to make this tortellini as well as my husband’s favorite Ham and Bean Soup. 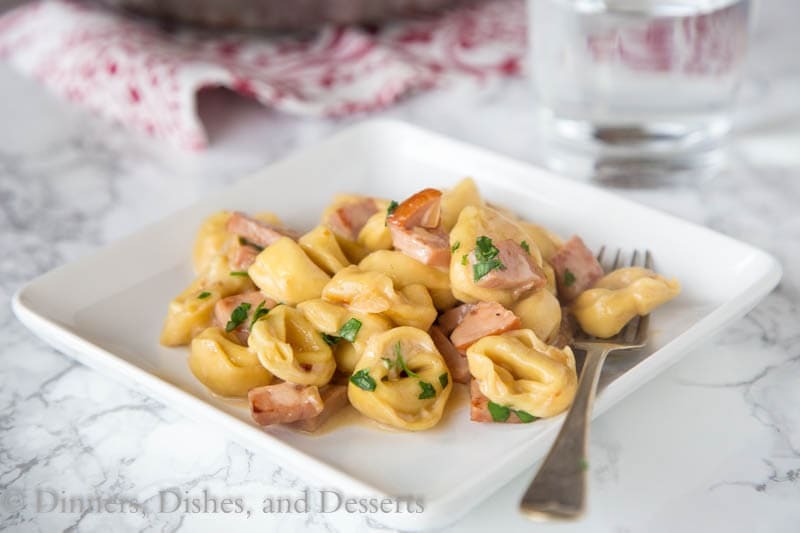 I have been known to buy the diced ham at the store just to make this cheese tortellini as well, it is that good! 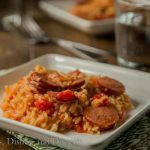 You know I love a one pan meal for quick and easy dinners on weeknights. And this ham & cheese tortellini is another hit. 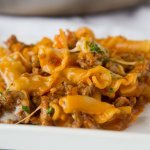 It is ready in 20 minutes, and I used a bag of frozen tortellini to make it easy and cheap. You can use the fresh tortellini in this too, it will work perfectly. 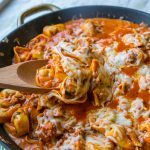 I almost always have tortellini in my fridge and freezer because it makes for such an easy dinner. Tortellini recipes are so versatile. You can use cheese filled like in this recipe, or meat filled in this Tomato-Basil Tortellini. Throw in a few peas into these tortellini recipe and you have a full meal on the table in just minutes. 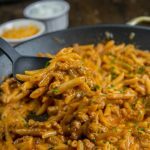 It is great for busy weeknights and the perfect way to use up leftovers. To heat leftover ham add just a little bit of oil into a skillet and heat over high heat. Add diced ham and let it cook for a few minutes to get a nice golden crust on the ham. Pour the cheese tortellini and chicken stock into the skillet. Everything cooks together and the pasta gets soft and delicious. Once the tortellini is cooked you add the heavy cream and cheese. 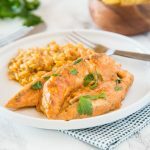 You will get a creamy and delicious sauce. If you want to add peas add them in with the cheese to get them to warm through. Serve immediately. Leftovers are great for lunch the next day as well. 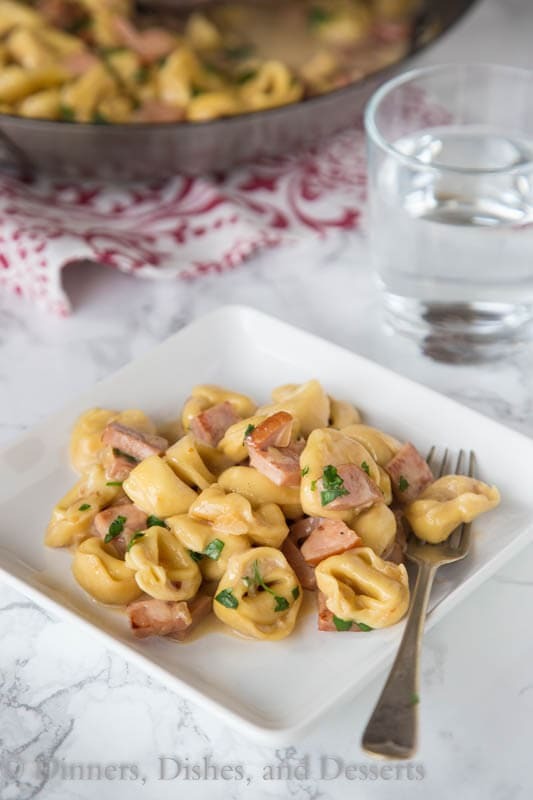 Ham & Cheese Tortellini - use that leftover ham to make this easy creamy tortellini dinner in 20 minutes! 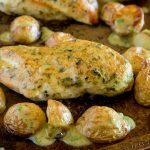 Great one pan meal any night of the week! In a large skillet heat olive oil over medium high heat. Add ham and onions, saute for 5-6 minutes until onions are tender and the ham is lightly browned. Stir in garlic, and cook for 1 minute until fragrant. Add tortellini, chicken stock, red pepper flakes, salt and pepper. Bring to a boil, cover and cook for 8-10 minutes until tortellini is cooked. Stir in cheese and heavy cream until melted. We are having cheese tortellini tonight! 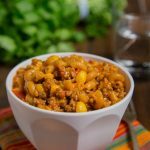 I already have ground beef thawed out, but I can’t wait to try this next time. What a delicious dish! This looks great! 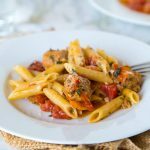 Sometimes you just cannot beat a nice hearty pasta dish! I make tortellini for dinner once a week because our kiddos love it! This looks so creamy and delish! This looks scrumptious! Perfect way to use up leftover ham! 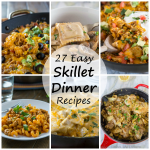 I love a good and easy skillet meal! Great use for leftover Easter ham! YUM! This was so good! 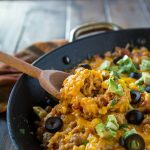 cheesy and delicious! My very picky kids loved it as well. I also paired it with the salad you reccomended! great choice! 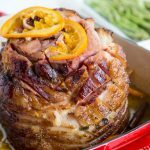 Love this idea for leftover ham! Oh, wow..this looks so creamy & delicious! 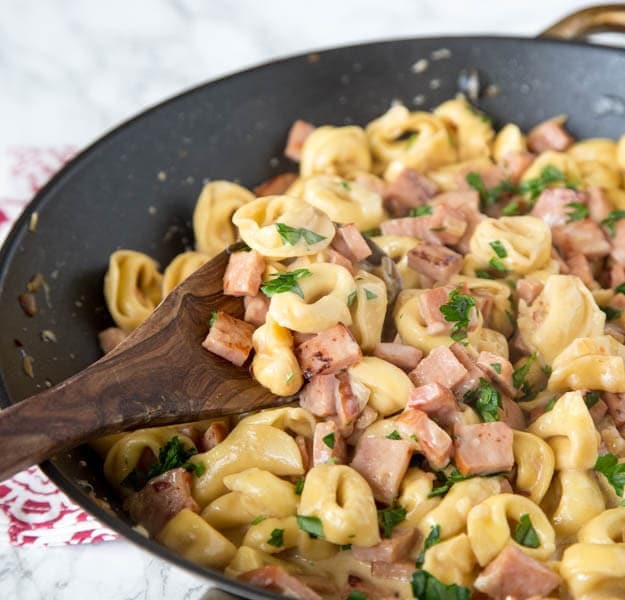 I love tortellini and adding ham is a great idea! I will need to try this for my family! They’ll love it! We always have left over ham and I typically make sandwiches. But, this looks like a great idea and different from what I usually make! I’ll give this a try! I don’t know why I’ve never thought of making a ham and cheese pasta. This looks SO good! Great idea for leftovers! 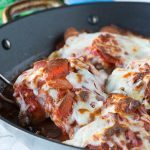 My kids love tortellinis so this will be the perfect dinner during the week! What a great way to use up the extra ham from the weekend! I can’t wait to make it next week. Perfect way to use leftover ham from Easter! Yum!